The EU and Ukraine are preparing an association agreement which notably includes a free trade deal. What is the tentative timetable for this, and what areas could be difficult for Ukraine, justifying special measures like transition periods? The EU-Ukraine Association Agreement is principally a new document with the free trade area as its key element. At the start of the negotiation process, we jointly chose a so-called FTA+ model. It envisages not only improved terms of trade with the EU, but also deeper integration of our markets. It is to be achieved through comprehensive legislative approximation with EU standards. In practice, Ukraine must within a very short time transpose into national legislation a vast body of European norms and rules which have evolved in the EU for years. As far as the duration of negotiations is concerned, for Ukraine the priority is the quality of negotiations and their results. Our negotiating teams currently concentrate on the contents of the Agreement; [and] in particular, [the] transitional periods required for [the] most sensitive sectors of the Ukrainian economy. How will the Ukrainian government make the population aware of the competition and difficult changes which lie ahead, instead of hoping for 'European' living standards soon? 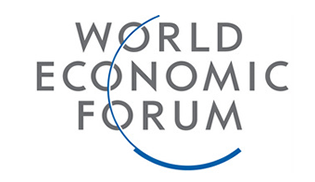 We live in the era of globalisation; rising competitive pressures on the global markets are an inevitable reality. In order to create a competitive economy and a successful, prosperous society, we have chosen a path of European integration. We are aware of the complexities of the task. This is why European integration is foremost about internal reforms. By introducing European standards, we promote greater competitiveness of each Ukrainian company and the economy of Ukraine as a whole. To prepare companies and sensitive sectors to do business in a new environment, we conduct negotiations about transitional periods in the future free trade area with the EU. Establishment of the FTA will permit Ukrainian exporters to be fully represented in the largest market in the world, to approximate technical standards and norms, to integrate into the EU transport, energy and infrastructure networks. In the longer term, it will bring benefits to the government, business, every citizen of our nation. In exchange for such progress and awareness, there is strong popular demand for visa facilitation and then visa-free travel to the EU. People talk about achieving this in time for the Euro 2012 football championship in Poland and Ukraine. What could you do to make it happen even earlier? Successful implementation of the EU-Ukraine Agreement on facilitation of issuance of visas permitted the launch of a visa-free dialogue in October 2008. At the moment we are working to define conditions for the introduction of a visa-free regime of travel of Ukrainian citizens to the EU member states. It is an ambitious but realistic goal. If Ukraine clearly fulfils all [the] necessary criteria, there should be no obstacles for introducing a visa-free regime. Our first priority, and it is being implemented, is to prepare for full implementation of the EU-Ukraine readmission agreement, to ratify the Council of Europe Convention on protection of automatically processed personal data, to conclude relevant agreements with Europol and Eurojust, to restore joint border and customs controls at Ukraine's borders with EU member states. We are doing everything in order to launch the visa-free regime with the EU as soon as possible. Many politicians from Ukraine and Central Europe stress the 'European perspective' for your country, meaning negotiating to join the EU once the association agreement is fully implemented. However, there are several issues here. Firstly, a number of reform commitments have not been fulfilled, largely due to domestic politics. What indications are there that the situation could improve after the January presidential elections? The decision to make the next step from partnership to association in the EU-Ukraine relations also became possible due to the fact that majority of EU citizens support the prospect of Ukraine joining the Union. In the end, it depends only on us how fast we complete our journey to the EU. The Ukrainian government defined European integration as its priority. Our team designed an effective programme of internal reforms. We take consistent steps towards full-fledged EU membership. However, the global financial crisis has slowed the process down, but it did not bring it to a halt. We elaborated a governmental anti-crisis programme with a range of measures to overcome the crisis and continue on the path of European integration. True, the reforms are not being pursued as quickly as we expected, but we hope that the forthcoming presidential elections, held openly and transparently in accordance with European and international democratic principles, will provide more evidence that Ukraine corresponds to the political criteria of candidate countries. It would pave the way towards acceleration of necessary reforms. In addition, Ukraine will work with the EU on a qualitatively new legal basis, established by the Association Agreement. Even before the Agreement enters into force, we are about to begin implementation of its provisions in the framework of the new bilateral political document to replace the Action Plan – the EU-Ukraine Association Agenda. In this regard, the new EU initiative 'Eastern Partnership' (EaP) has considerable potential as it envisages the facilitation of a visa regime, and gradually liberalising it to establish deep free trade areas, support legislative approximation, strengthen institutional capacity of the partner countries, assist regional development on the basis of the EU regional cohesion policy, establish an integrated system of border management, and cooperate in the area of energy security. I agree with the opinion of Swedish Foreign Minister Carl Bildt that "the Eastern Partnership is not an answer to all the problems and difficulties facing the six partner countries". And he added that the new policy demonstrates clear EU obligations to provide political and economic support to their reforms – a process which should help achieve the prosperity and stability of the entire region. I would like to underscore that Ukraine considers EaP as a complementary instrument to the EU-Ukraine bilateral relationship, whose elements would accelerate Ukraine's integration to the EU. Without wasting much time, we launched work in the framework of the multilateral dialogue. In June 2009 founding sessions of all EaP thematic platforms were held. Concrete proposals are underway about future projects. I am sure that by the end of the year, political dialogue under the EaP will take on its practical dimension. Again, speaking about your country getting closer to Europe, Ukraine's population seems less convinced about the security aspects of Euro-Atlantic integration, notably NATO, and about creating an artificial border with Russia. There are a number of open issues with this neighbour. How could these be settled before applying to the EU? An understanding by the Ukrainian population of the advantages of the system of collective security on the NATO basis should directly depend on the extent to which it is informed about it. This is why the government pays considerable attention to the task of informing society systemically about NATO, the alliance's principles and current objectives, and the security needs of our country. As for Russia and the issue of the Russian-Ukrainian border: a clearly demarcated border is an important component of the sovereignty of every state. Ukraine is moving forward step by step towards settling this issue with Russia. We are engaged in pragmatic dialogue and it brings positive results. Today the parties have agreed on the land border, we are having a normal working process to delimitate our sea borders. Each session of the Ukrainian-Russian working group on border demarcation brings us closer to conclusion. Ukraine also takes every effort to ensure that both Ukrainian and Russian citizens do not face difficulties while crossing the border. Today Ukrainians and Russians can freely visit both countries without limitations. We call for this status to remain in the future. In a similar way we are trying to pursue a constructive dialogue with Russia on all other issues. It is important to remember that Ukrainian-Russian relations are strategically important to both countries; the settlement of outstanding issues is equally in the best interests of Kyiv and Moscow. The European integration of Ukraine is not directed against Russia. In the same perspective of a possible future accession, you probably realize that EU itself faces some ‘enlargement fatigue’, due to public opinion in Western Europe and to institutional challenges, especially regarding large countries like Turkey or Ukraine. How would you convince the EU population of the benefits of Ukraine joining? Firstly, the EU would shorten at least by a thousand kilometers the distance to energy resources and prospective new markets. One should not also underestimate Ukraine’s role in providing stability of energy supplies in the European continent. Secondly, having in mind an increasing demand for food in the world, Ukraine’s agricultural potential, always somewhat feared by EU Member States, becomes our common advantage. The use of this potential will strengthen the food security in the European continent. Thirdly, it is our human potential. We have a well-educated, qualified and motivated workforce. It is no secret that each leading European research institution employs Ukrainian scientists and programmers. Our scholars made significant contribution to the areas of aerospace, genetics and biotechnology. The global financial crisis gave rise to skepticism in some European member states with regard to the EU capability to enlarge further, particularly to the East. Yet, we continue facing common challenges triggered by the crisis which demonstrate once again that common problems could be overcome only by our pulled resources and capabilities. From our side, we take practical efforts to change perception of Ukraine in the EU so that it is perceived by the European establishment and citizens as a potential EU member state. If Ukraine proceeds perfectly along a classical EU enlargement path, we hear tentative mentions of a '2020 scenario'. The association agreement would be signed in 2010 and implemented within a few years, with some exceptions until 2017. Ukraine's EU application would be lodged at the end of the 2010-2015 presidential mandate, not triggering any response until a new European Parliament and new Commission are in place. This would lead to several years of negotiations. Is this the scenario you work under, or is it too optimistic? What is your own tentative timetable? Indeed, as long ago as 2006, the international organisation 'Yalta European Strategy', in a grand presentation with European political celebrities attending, unveiled the plan of Ukraine's integration into the European Union, 'Agenda 2020'. Previous Ukrainian governments often declared possible dates of Ukraine's accession to the EU that have never materialised. Then we had to explain why. We choose the path of realism in European integration. For us the date of the accession to the EU is not a matter of principle. The most important thing for Ukraine is the path itself towards the European integration as a way of political consensus, economic stability and prosperity. Today we are not speaking about EU membership, but rather about reforms. It is about Ukraine's Europeanisation, modernisation and adaptation to European standards. Given the number of challenges on both sides, and the slow pace of EU negotiations with Turkey, should other scenarios be envisaged, building on the vocation of both countries as 'bridges'? How about creating an Eastern European Market, with unlimited access to the EU and stronger consultation than in a customs union, and renouncing NATO membership? Would stressing full Ukrainian independence from both Moscow and Brussels be helpful? Since the first years of independence, Ukraine has opted for European integration for its return to Europe. Therefore, turning down a European choice is foremost about turning down a better and more secure future for Ukraine and its citizens. I want to emphasise once again: we do not consider alternative scenarios. At the present stage, the economic integration with the EU is pursued through negotiations on a deep and comprehensive free trade area. It is in line with the EU support of the establishment of similar FTAs with partner countries in the Eastern Partnership. Ukraine serves as a model in this process. An FTA of this format would permit us to keep commercial relations with the CIS states with whom we already have free trade agreements. At the same time we offer Ukrainian companies unique possibilities to get free access to the largest market in the world. Would you like to comment on the recent visit to Kyiv by US Vice-President Joe Biden, or on the open letter to President Obama by Central European leaders asking for US support for Ukraine's sovereignty versus Russia? Ukraine's independence was recognised by the Russian Federation and by all EU and NATO member states in 1991-1992. Now, as an independent state, Ukraine has a sovereign right to choose its own foreign policy priorities and ways to guarantee its national security. There have been discussions lately about the need to improve existing instruments of security policy within the OSCE, NATO and the EU in particular. Ukrainian Prime Minister Yulia Tymoshenko raised this issue at the Munich Security Conference in February this year. The EU is reviewing the European Security Strategy. Therefore, our wish to participate in important discussions on security in Europe is natural and legitimate. Finally, you know that EurActiv reaches political audiences in 10 countries in 10 languages, notably six countries of Central Europe. Do you have a message to these readers in particular? Today the European Union is the most successful integration grouping of democratic countries which, I am confident, will complete its major institutional reform in the near future. This would allow it to go back to the question of continued EU enlargement and will contribute to strengthening stability, security and development of democracy in the European continent. Ukraine is a nation which practises European values and consistently goes down the road of European integration. I count on the solidarity to this cause from other stakeholders of the European project. My vision of Ukraine is clear: it is European democracy with a modern social market economy. I wish for the readership of EurActiv to sail safely and with dignity through the stormy seas of the global financial crisis with as few losses as possible. 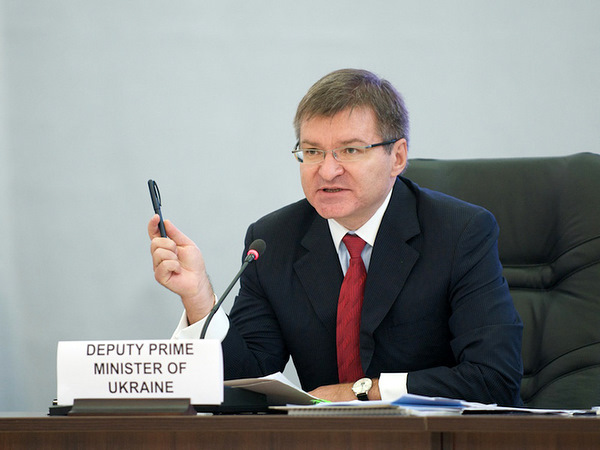 Hryhoriy Nemyria was appointed deputy prime minister of Ukraine in December 2007. A political scientist, he has been a visiting professor at many Western universities.